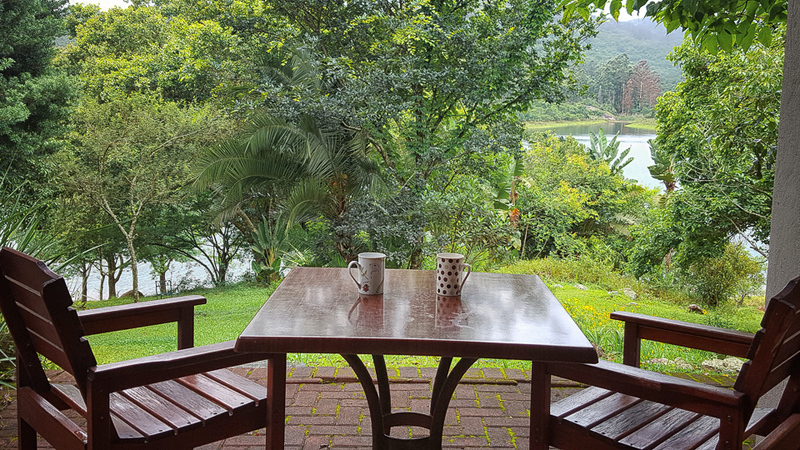 Hulala Lakeside Lodge is situated on the tranquil shores of Da Gama Lake in the most beautiful part of the Lowveld, just off the R40 and in close proximity to white river, Hazyview and the panorama route. It is also only about 25 kms from the Kruger National Park’s Phabeni gate making it a great place to use as a base from which to explore the Kruger Park or to use as a stopover. Sean, the GM, warmly welcomed us and showed us round the main lodge building. 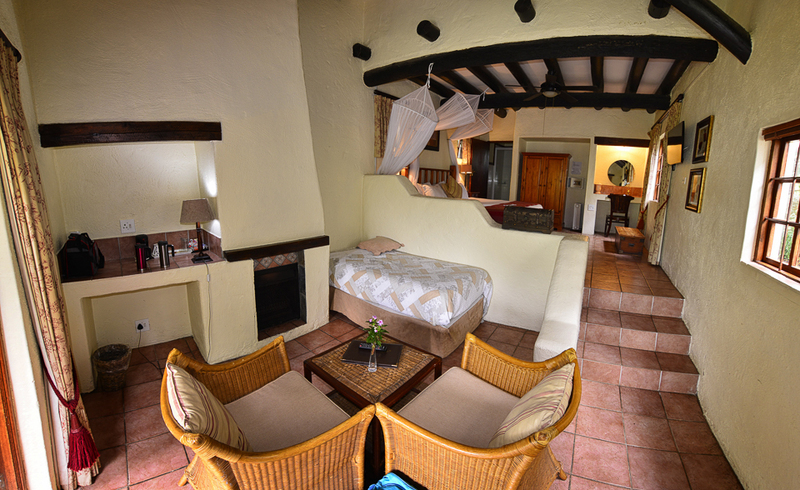 The main Lodge houses the Feather restaurant, Rock Bar, and the cozy library with reading nook. 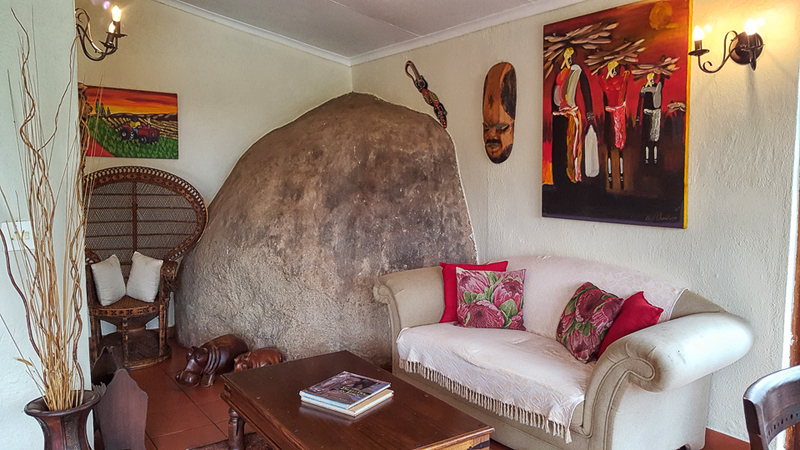 The lounge - we love the fact that the lodge has been built around these huge boulders! A large lounge with fireplace links the restaurant and another seating area that leads out onto the garden. The lodge has a warm and inviting feel to it and I loved all the Christmas decorations throughout the lodge. 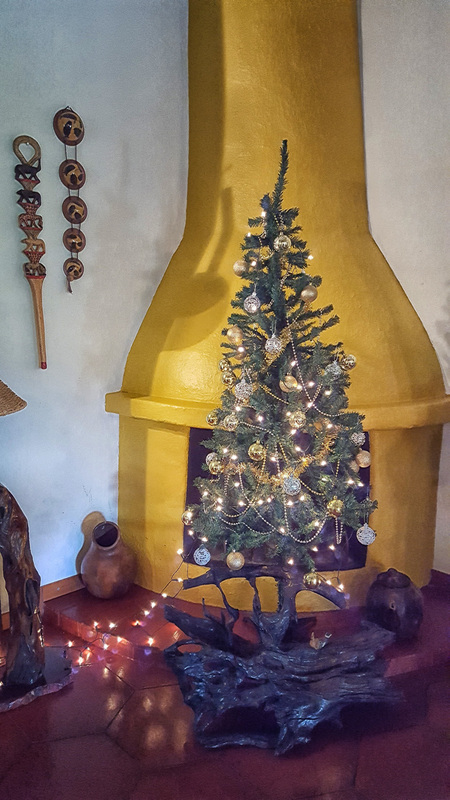 Christmas tree in front of the lounge fireplace. Yes, the winters can get cold so there are fireplaces in all the suites and throughout Hulala Lakeside Lodge! 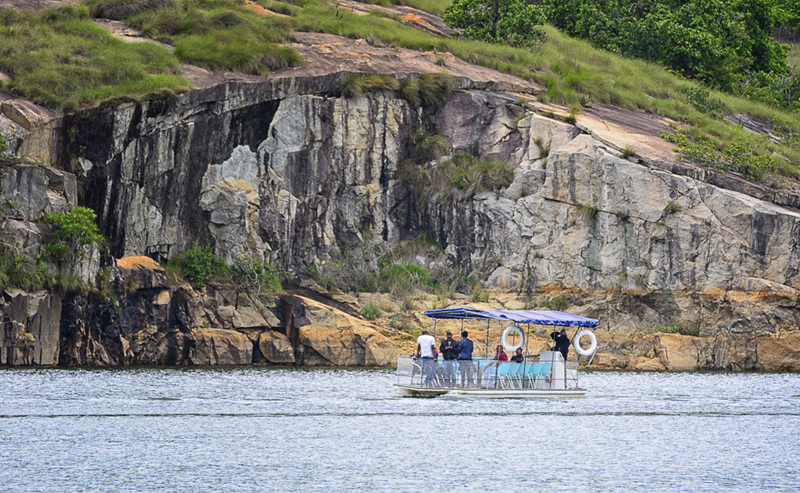 Rolling lawns, lake views, and giant granite boulders within an indigenous forest all make Hulala Lakeside Lodge a most appealing destination. We took a walk round the gardens - this area is great for keen bird watchers and photographers because there are so many birds to look out for: the Pied King Fisher, Egyptian Geese, African Jacana and the elusive Narina Trogan, which we didn’t get to see - hopefully next time! 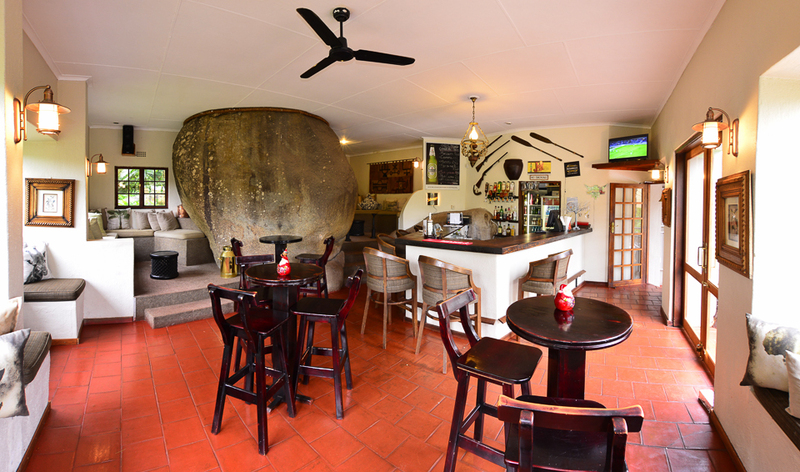 The Rock bar is built round a huge rock, hence the name, and the fireplace is a good place to cozy up to in winter with a Sherry while looking out over the swimming pool, deck and lake. Delicious pub lunches are served at the pool, under the trees alongside the Rock Bar or in the restaurant; Mario had fish and chips and I had a chicken burger for lunch. Feathers restaurant offers classic country-style dining; dinner is a 4 course meal, beginning with two delicious starters; we had a salad and a 3 cheese phyllo parcels, then for main, we both had lamb chops with veg and finished off with Malva pudding. A Buffet or Al la Carte breakfast is served on the terrace or in the Feather Restaurant. The 4 different types of suites; Lake, Garden, Family and Cottage/Honeymoon are all tastefully decorated and boast nice views of the lake or gardens from your private patio. 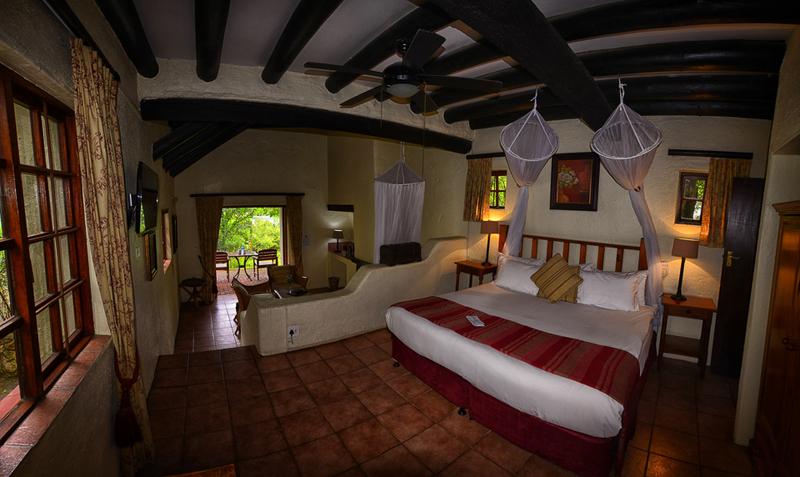 The suites have mosquito nets, tea and coffee stations, hairdryer, fan satellite TV and en-suite bathrooms, a lounge or seating area and some have a wood-burning fireplace. We stayed in one of the Garden suites and loved the open-plan split level, with our small lounge with fireplace down stairs then up to the bed room and en-suite bathroom. The suite was nestled in the beautiful lush gardens which had a lovely view down to the lake and surrounding gardens from our private patio. 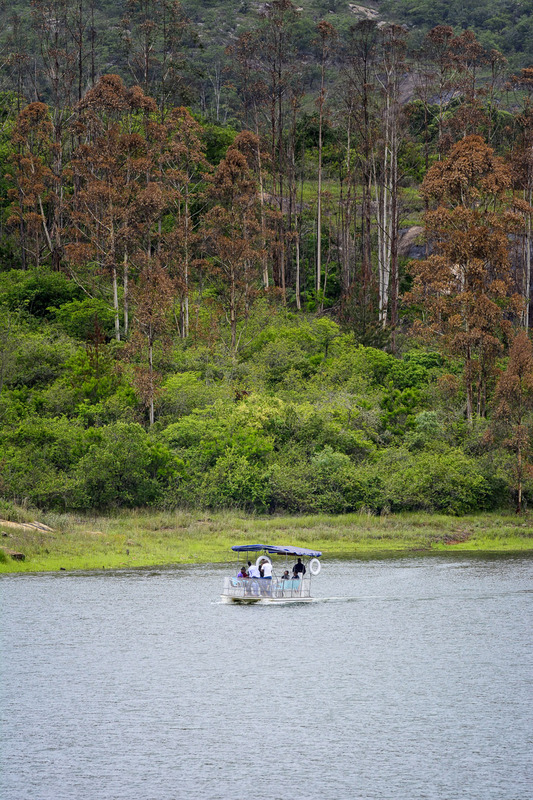 The most popular activities at Hulala are boating; a fleet of two-man canoes; peddle boats and rowing boats for the anglers and the ever popular “Sundowner Cruise” which departs daily in the afternoon. There are walking trails along the lake edge on the property; with various short cuts should you prefer an easy stroll. The walking trails will take you through streams and over rocks and can take an hour to 90 minutes. You can also relax at the swimming pool, visit Hulala’s Lakeside Spa or book a guided safari or self-drive into the Kruger National Park. 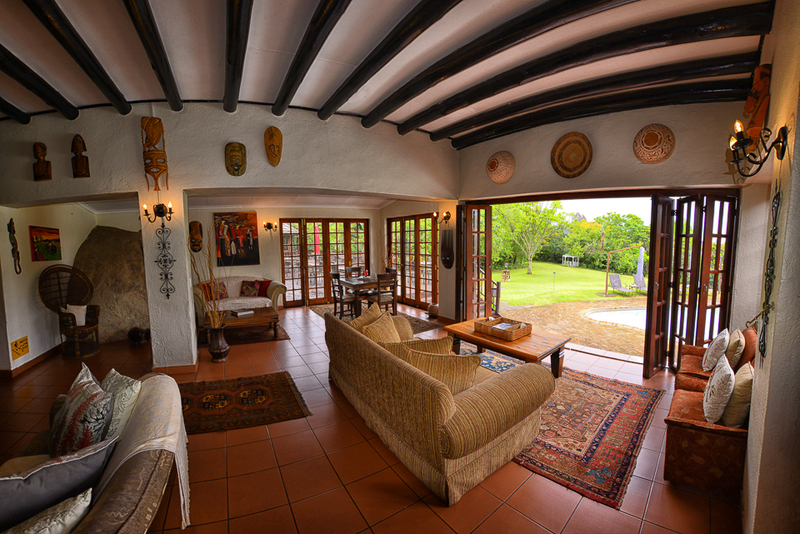 For more information or to book your stay at Hulala Lakeside Country Lodge please click here.